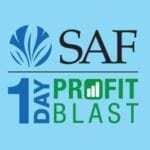 Why Do Event Florists Join SAF? Professional advertising and marketing services worth thousands of dollars! 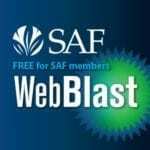 Free tools for driving sales via social media marketing and advertising, developed by leading digital marketing experts. Deep discounts on sales-boosting statement stuffers and postcards, plus Business-to-Business Portfolios and posters and FREE floral images and customizable press releases. Get time-tested advice on growing a profitable event business from some of the country’s best event florists. Valuable tools and resources to help you save time…and money! Access to thousands of floral industry suppliers and products is just a click away in the SAF Ultimate Floral Industry Supply Guide. Discounts on a range of programs and services from our many business partners. A Free 15-minute legal consultation with attorney Paula A. Calimafde with law firm Paley Rothman. Get expert guidance on pricing, inventory management and more. Connect with industry peers and suppliers SAF events held throughout the year. Where hundreds of the floral industry’s leading florists, wholesalers and suppliers gather to learn and network. A highly concentrated, fast-paced day of learning covering trends, technology, new products and more. Info-packed 20-minute webinars plus 10-minutes of Q&A cover digital strategies, social media marketing, holiday planning, pricing, event planning and much more.